Discover the proven results that 11 million women & men have experienced. With real, noticeable, no surgery, there are many reasons why Botox cosmetic has been chosen by millions of people. Botox Cosmetic is a prescription medicine that is injected into muscles & used to improve the look of moderate to severe frown lines between the eyebrows ( Glabellar lines) in adults for a short period of time (temporary). Botox Cosmetic works by blocking nerve impulses to the injected muscles. This reduces muscle activity that causes the persistent lines. Aging skin & wrinkles result from a combination of many factors. It’s not just about cellular changes, collagen depletion, hormone loss or damage caused by free radicals. Juvederm filler range is an injectable gel ( Hyaluronic acid) that is the first & only filler FDA approved to instantly add volume. It gives you a subtle lift, helping restore contour & a more youthful profile for up to 2 years. Everyone’s skin ages differently & filler can be utilized to rejuvenate multiple problem areas. From smile lines to vertical lip lines, you can smooth away unwanted wrinkles & restore natural contours. 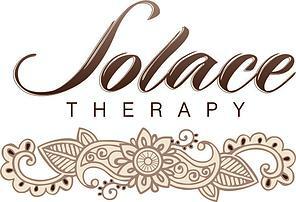 We invite you to Solace Therapy to consult with our doctor to address all your anti aging requirements promoting the best version of you!